MPA is formulating the master plan for the next container terminal at the Tuas area of Singapore, which is planned to commence operation in phases starting from 2021 onwards. OpenGov spoke to Mr. Goh Kwong Heng, CIO, Maritime and Port Authority (MPA) of Singapore, about what he foresees his team will focus on this year and how trending technologies are making waves in the ports. “We want to use technology to enhance navigation and safety of the port waters, in addition to improving land utilization and productivity of the port. We host one of the busiest ports in the world, with over 1,000 vessels in our port waters at one time,” Mr. Goh Kwong Heng emphasised. MPA is formulating the master plan for the next container terminal at the Tuas area of Singapore, which is planned to commence operation in phases starting from 2021 onwards. The move of the container terminals from the city will consolidate all operations into one single Tuas Port. Conceptualising and testing new operating concepts and planning for the future is part of MPA’s strategy to stay ahead of the game. MPA is looking deeper into big data as a way to improve port operations and activities. The authority foresees the port being able to use data analytics platforms to complement the port management systems in detecting anomalies and supporting both operations and planning processes. With respect to video analytics, MPA has CCTV coverage across the container terminals and the port waters. The next challenge is to cover the whole port with surveillance sensors. Remembering the last time we spoke to Mr. Goh Kwong Heng, the topic of mesh networking was brought up. As of now, the port waters can access 4G connectivity, yet mesh networking poses the opportunity to increase connectivity without providing cell service. When we discussed it recently, Mr. Goh Kwong Heng was circumspect on whether this technology was mature enough to be applied to the port waters. With respect to the current 4G coverage, Mr. Goh Kwong Heng shared that MPA is working with the telcos, maritime companies and research community to expand the coverage and close in on areas with spotty network coverage using new technology such as TV whitespace. Drones are all the rage right now and they are easily available at relatively low cost.. The industry and even the public sector are is exploring the use of drone technology in areas such as improving service delivery. MPA is looking at drones for a variety of reasons. Currently, to collect data, a boat is needed to to navigate around the port. But using a boat may not be the most efficient way to collect data as the boat’s speed is limited and there is heavy marine traffic. MPA plans to use drones to monitor marine incidents such as oil spills in Singapore’s port waters. These drones can capture events and stream live video back to the control centre in near real-time. In fact, it is greener as a drone used in such a scenario weights about 7kg, uses battery instead of burning the marine fuel oil needed to power a 35 ton boat. MPA launched the myMaritime@SG mobile app platform in Mar 2015 providing comprehensive range of information services to the local maritime community. . They are developing new services to provide ways for the shipping agents to submit documents or perform transactions/query directly with MPA and the port community. Mr. Goh Kwong Heng sees the activity on these platforms as very active. Maritime workers are frequent mobile workers, some are not office bound, so timely availability of information allows maritime service providers to effectively manage and plan their resources and provide prompt and efficient services on the move. As for beyond 2016, we can expect that MPA will continue to integrate new and advanced frontier technologies to enhance the operations of the port. This will only increase MPA’s efficiency and safety in the port waters and in the container terminals. 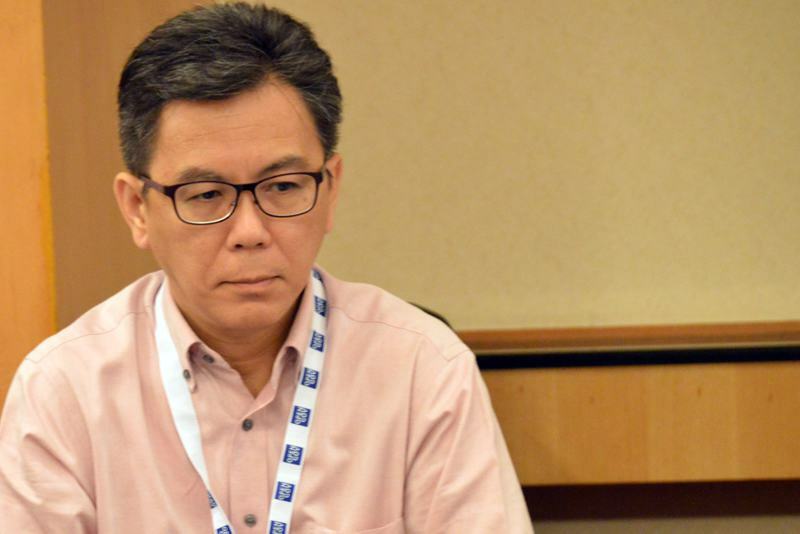 Mr. Goh Kwong Heng has a lot on his plate this year, yet his clear direction and experience and helpful colleagues in MPA will help him clear a path towards greater technology utilisation throughout the ports.